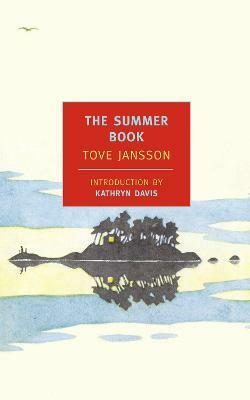 In The Summer Book Tove Jansson distills the essence of the summer--its sunlight and storms--into twenty-two crystalline vignettes. This brief novel tells the story of Sophia, a six-year-old girl awakening to existence, and Sophia's grandmother, nearing the end of hers, as they spend the summer on a tiny unspoiled island in the Gulf of Finland. The grandmother is unsentimental and wise, if a little cranky; Sophia is impetuous and volatile, but she tends to her grandmother with the care of a new parent. Together they amble over coastline and forest in easy companionship, build boats from bark, create a miniature Venice, write a fanciful study of local bugs. They discuss things that matter to young and old alike: life, death, the nature of God and of love. "On an island," thinks the grandmother, "everything is complete." In The Summer Book, Jansson creates her own complete world, full of the varied joys and sorrows of life. Tove Jansson, whose Moomintroll comic strip and books brought her international acclaim, lived for much of her life on an island like the one described in The Summer Book, and the work can be enjoyed as her closely observed journal of the sounds, sights, and feel of a summer spent in intimate contact with the natural world. The Summer Book is translated from the Swedish by Thomas Teal. The Summer Book is pure loveliness. The movements of tides and winds and boats and insects loom larger for our narrator than the currents of history, and the profound quiet of the setting-I'm reminded of Akhil Sharma's description of a prose like "white light"-allows us to hear Jansson's unsparing and ironic tenderness, a tone that remains purely her own, even in translation. "Take a book in which there is no plot but bucketloads of positive feelings presented simply, and it will become a cult. Zen and the Art of Motorcycle Maintenance and Jonathan Livingston Seagull were both bestsellers; no one could say what either was really about, but everyone could quote a meaningful truism from them. The Summer Book is in this mould: it manages to make you feel good as well as wise..." -Independent The Summer Book is pure loveliness. The movements of tides and winds and boats and insects loom larger for our narrator than the currents of history, and the profound quiet of the setting--I'm reminded of Akhil Sharma's description of a prose like "white light"--allows us to hear Jansson's unsparing and ironic tenderness, a tone that remains purely her own, even in translation. a hippopotamus-like character with a dreamy disposition, made his first appearance. Jansson went on to write about the adventures of Moomintroll, the Moomin family, and their curious friends in a long-running comic strip and in a series of books for children that have been translated throughout the world, inspiring films, several television series, an opera, and theme parks in Finland and Japan. Jansson also wrote novels and short stories for adults, of which Sculptor's Daughter, The Summer Book, Sun City, The Winter Book, and Fair Play have been translated into English. In 1994 she was awarded the Prize of the Swedish Academy. Tove Jansson and her companion, the artist Tuulikki Pietilä, continued to live part-time in a cottage on the remote outer edge of the Finnish archipelago until 1991. Kathryn Davis has received the Janet Heidinger Kafka Prize, the Morton Dauwen Zabel Award from the American Academy of Arts and Letters, and a Guggenheim Fellowship. She is the author of many novels, including Labrador, The Girl Who Trod on a Loaf, Hell, The Walking Tour, The Thin Place, and Versailles. In 2006 she received the Lannan Literary Award for Fiction. She teaches at Washington University in St. Louis and lives in Vermont.